The first point is pretty obvious. 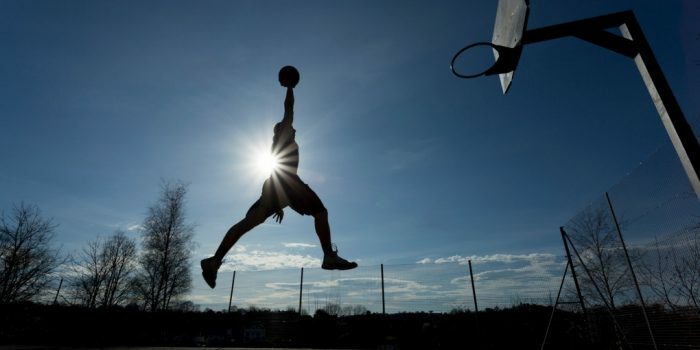 If you can't jump high enough, there is no way you will ever learn how to dunk on a regular rim. 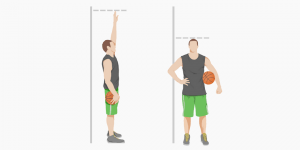 If you want to improve your vertical jump, check out the vertical jump program that improved my vertical jump by 8 inches during last off-season. The second point is less obvious. But, think about it: Being able to dunk doesn't just depend on raw athleticism. It is also a skill to be learned and practiced. There are a lot of very strong powerlifters out there who will never make a dunk. They are very strong, but they lack the necessary coordination and technique to focus their strength. This article is going to show you three different ways to make a dunk, the strengths and weaknesses of each style and what you have to keep in mind when trying to dunk. You are about to jump WAY higher! 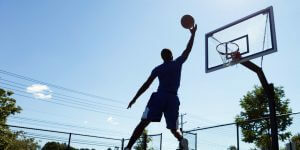 This is the most common technique and, for the majority of athletes, the easiest way to dunk. The movement patterns are almost identical to a layup making the one-foot dunk-technique easy to learn for experienced basketball players. A one-foot dunk is highlighted by a longer than usual second to last step (often called penultimate step by athletic trainers), which lowers the centre of gravity of a jumper. This is then followed by a quick and explosive takeoff where the jumping leg bends relatively little and acts as a lever transforming speed into height. Find a very detailed description of one foot jump technique here. 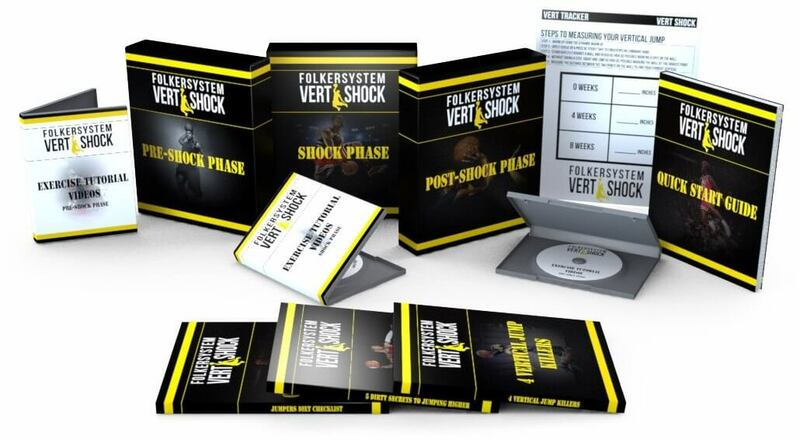 The Vert Shock vertical jump training is the perfect training program for one-foot jumpers. There are no heavy weightlifting exercises that slow you down. Instead, the training focuses on advanced plyometric exercises that will make you more explosive and bouncier. This technique seems to divide basketball players. Some pick it up naturally and others can barely jump over a phone book this way. 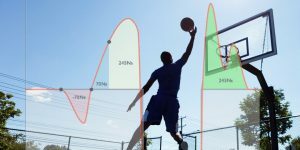 Two-foot dunks are harder to perform for most athletes, but the technique provides potential for some of the most powerful and spectacular dunks. There are a lot of NBA players who prefer to jump off of two feet, but the most spectacular is probably Blake Griffin. Two-foot dunks are often preferred by bigger and more muscular players. These jumps rely less on quickness and "bounce" and more on sheer power. Two-foot jumpers are often very good at squatting and are able to jump very high from a standstill. If you want to know more about two-foot jump technique check out this post. 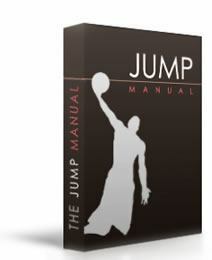 The Jump Manual is a vertical jump training program that is very well suited for two-foot jumpers. The creator of the Jump Manual, Jacob Hiller, is a two-foot jumper himself - this is reflected in the program. A combination of weightlifting and plyometrics will help you to get the most out of your vertical jump! Alley-oops are very popular with basketball players trying to dunk for the first time because they can really concentrate on the jump and don't worry about dribbling the ball. Being able to swing the arms to gain extra momentum can make the difference between a failed dunk and completed dunk. The problem with alley-oops? The timing is really difficult. It has to be 100% perfect or otherwise dunks become harder instead of easier. 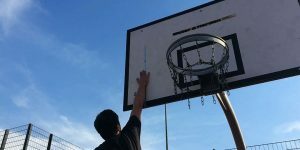 If you want to learn how to dunk, you want to pick the jump technique that allows you to reach the highest vertical. So the question is: Do you jump higher off one foot or two feet? One foot jumping is characterized by a very short ground contact time. World-class jumpers touch the ground for less than 0.12 seconds during takeoff. This leads to extremely high forces because a single leg has to produce all the upward movement in such a short period of time. So if your are a lean and lanky athlete, then one-foot jumping is for you. Otherwise you might be better served jumping off two-feet. So if you are older than 30 years, it is probably better to work on your two-foot jumping - you have a better chance of improvements and less risk of injury! Try to work on two foot jumping and you will see increases very quickly as your body adapts to the new technique! It is like working on your off-hand dribble for the first time, at first it's awkward, but you get better quickly! Alright, that's it. What is your preferred dunk technique? Let me know in the comments!